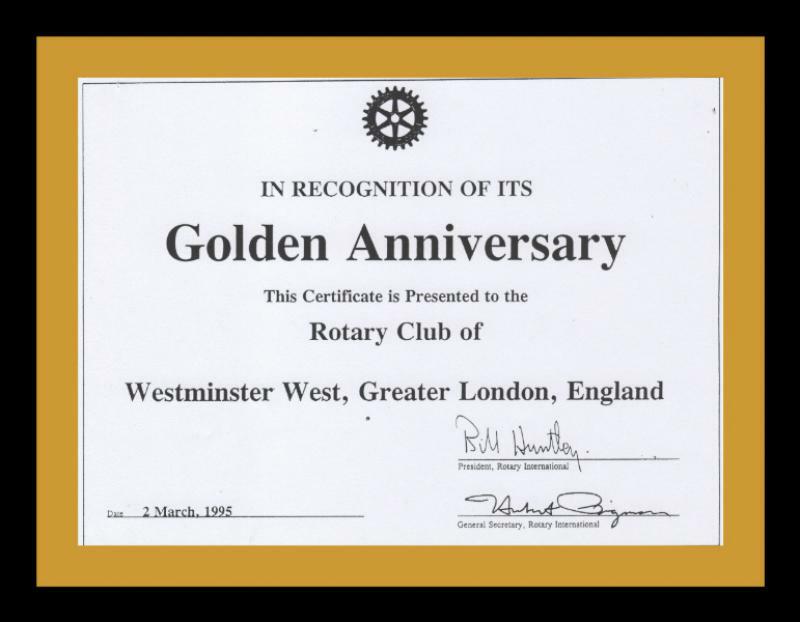 Our history goes back to 1945 to a time when there was a strong sense of camaraderie during the adverse conditions that existed in the war years, and, inspired by the ideals of Rotary, our founding members came together, to do that bit more for the community. 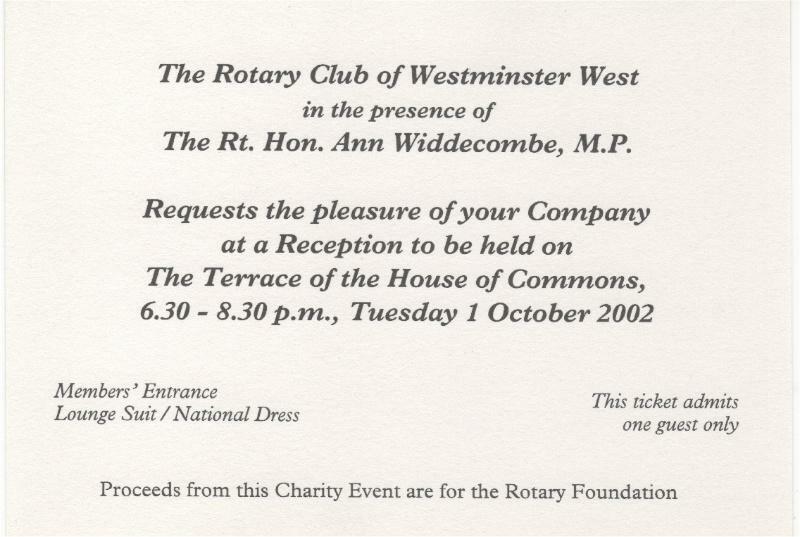 And so it came to pass. 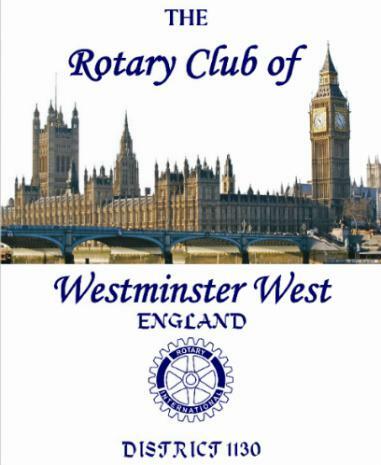 After formative meetings beginning in the previous November, Westminster West became club No. 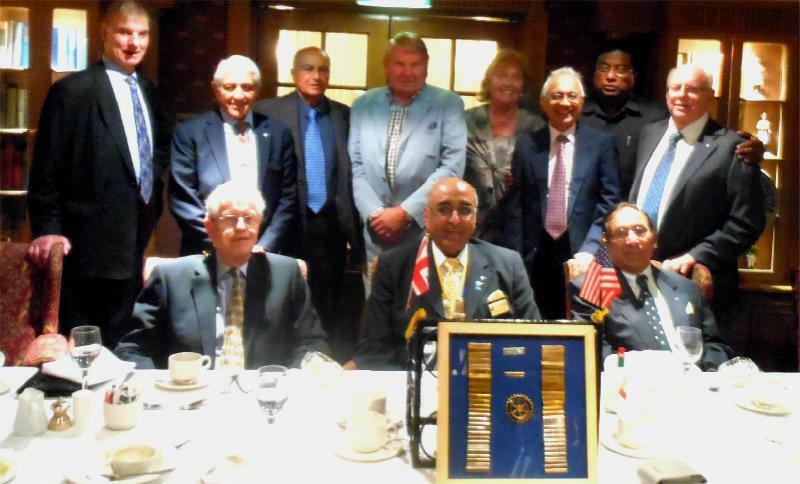 5917 of Rotary International on March 2nd 1945. 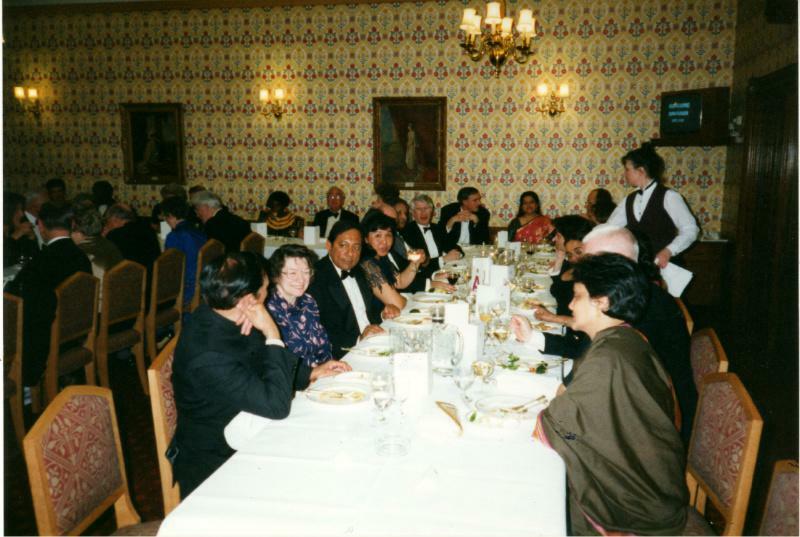 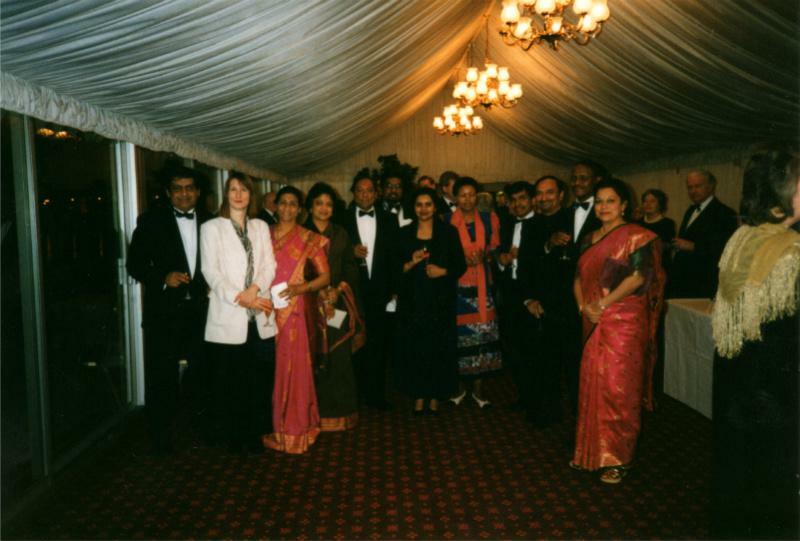 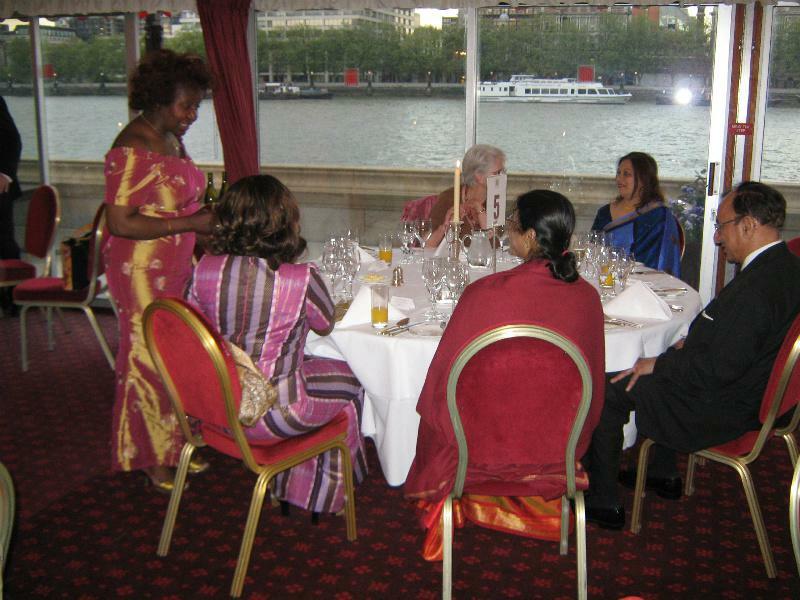 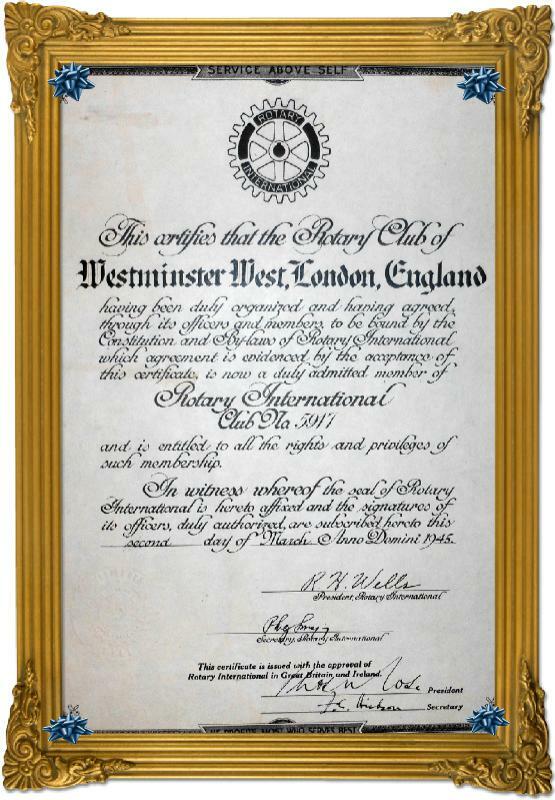 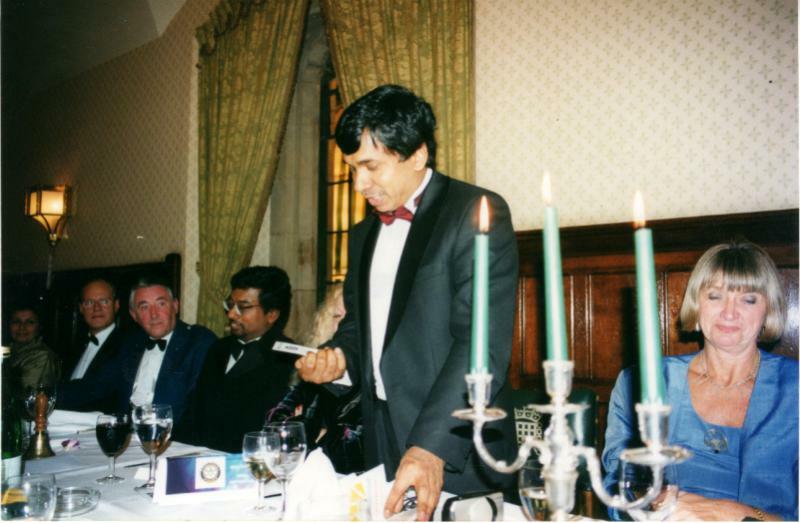 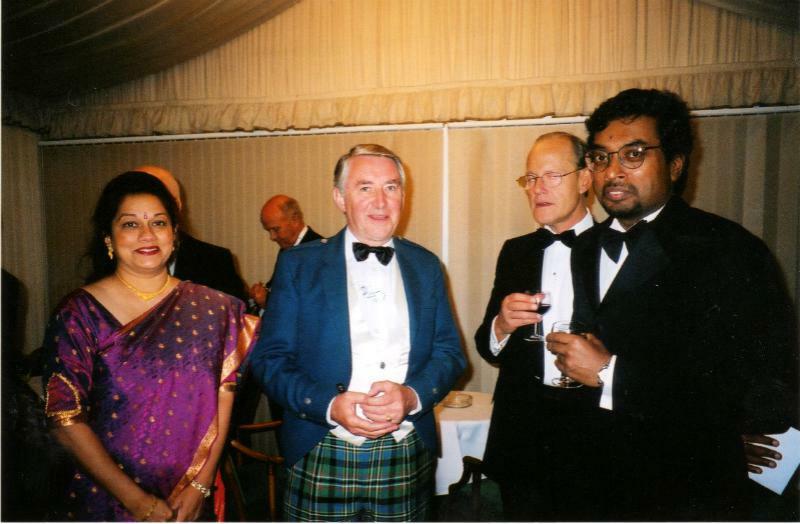 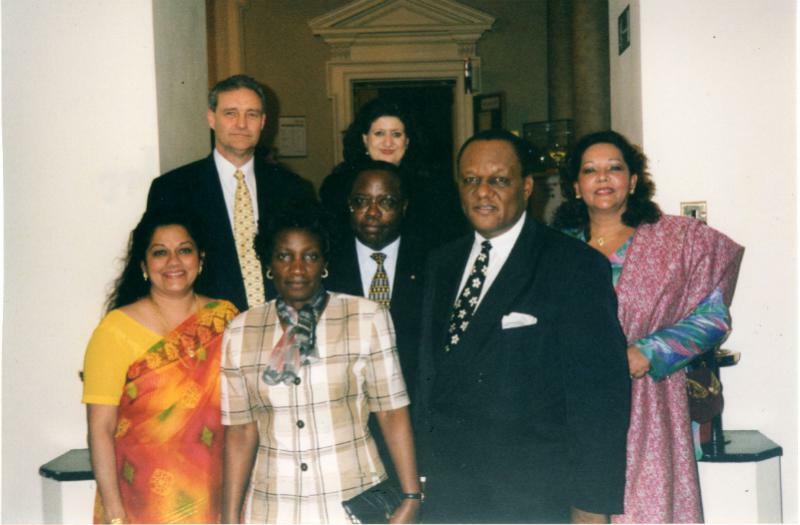 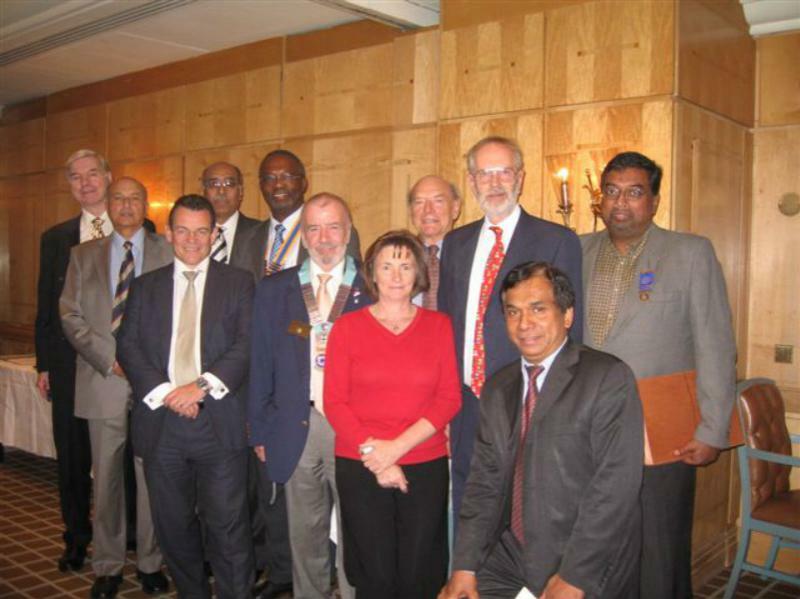 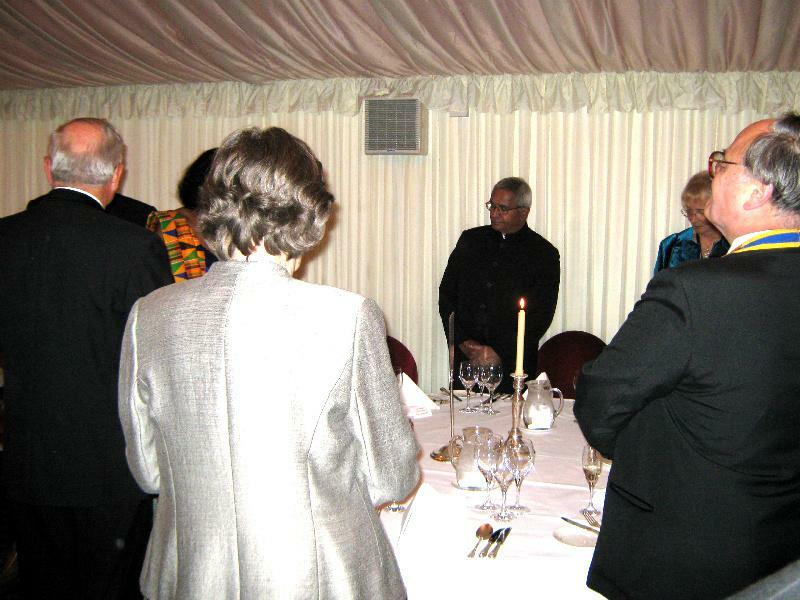 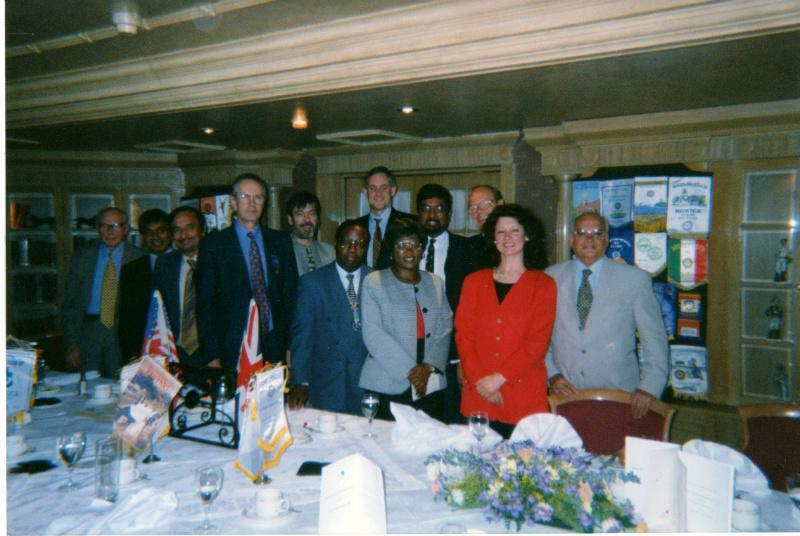 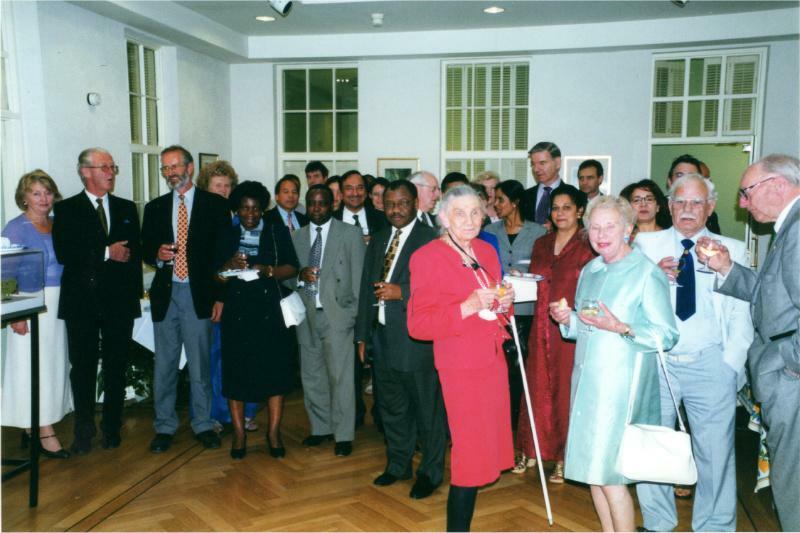 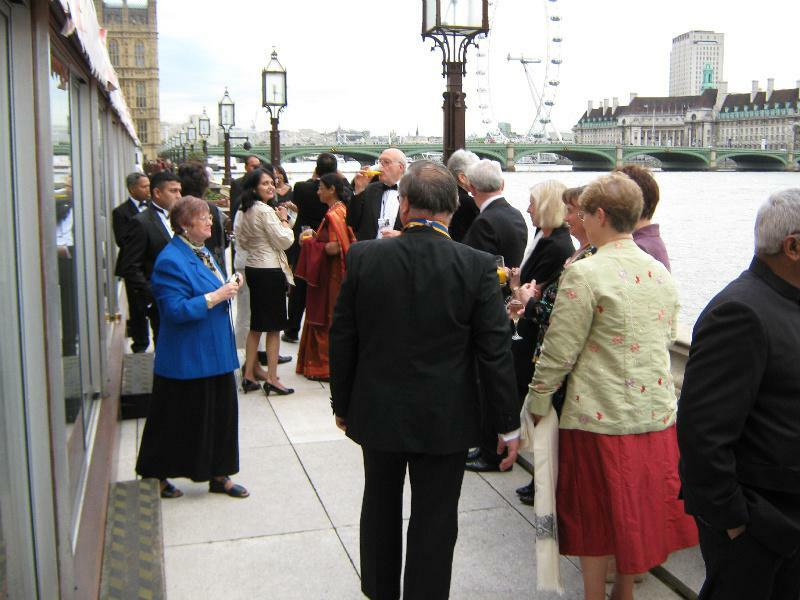 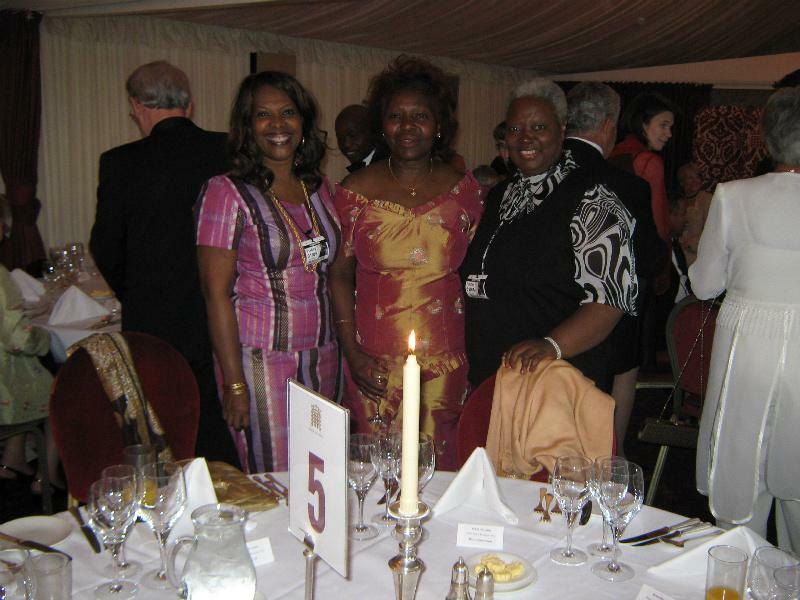 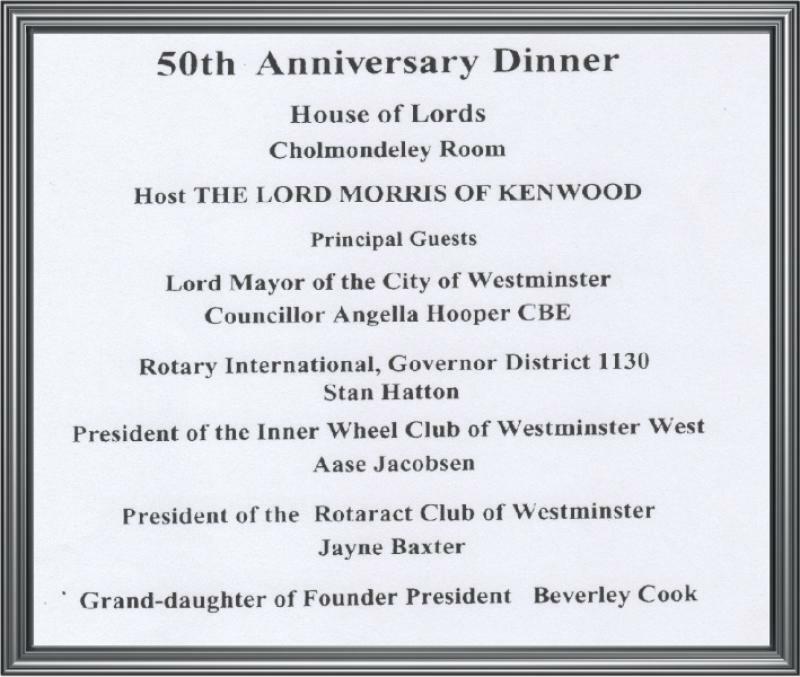 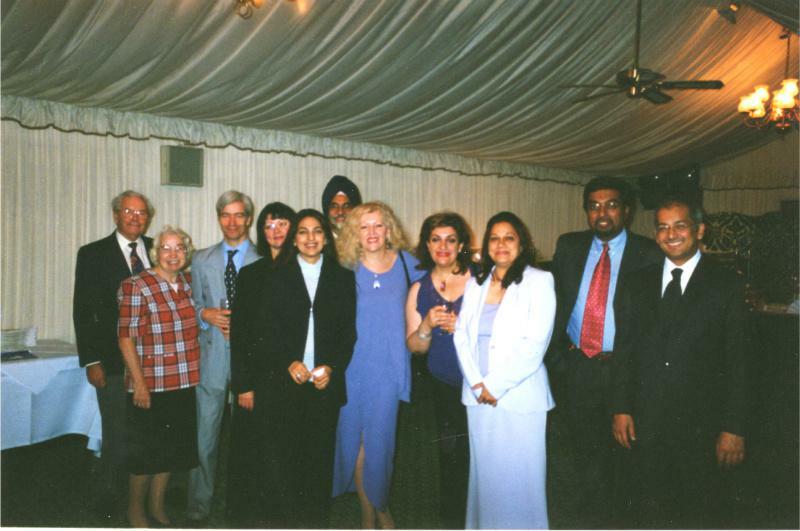 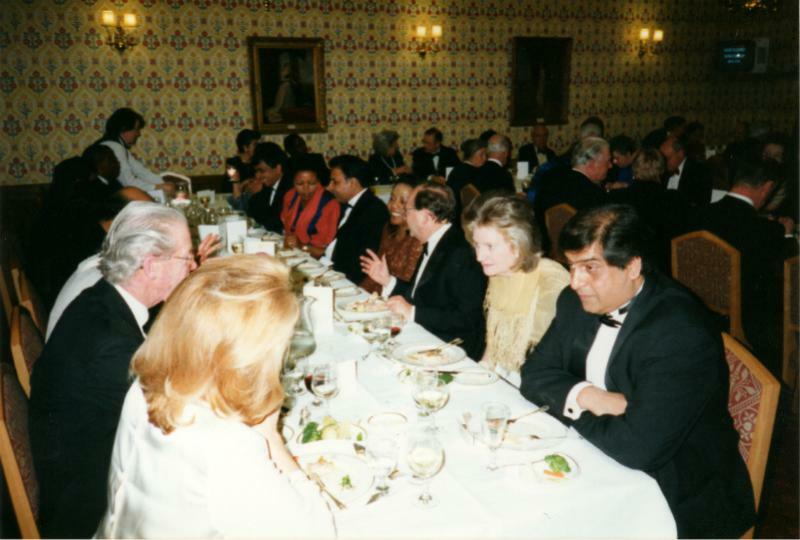 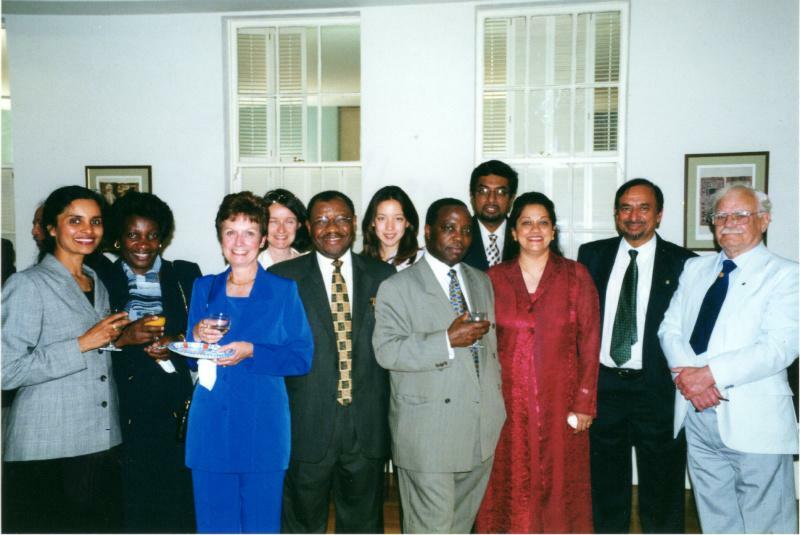 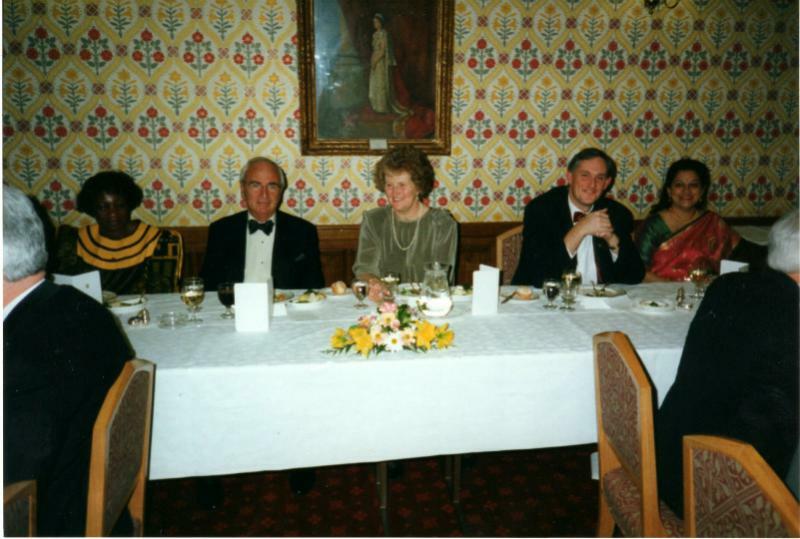 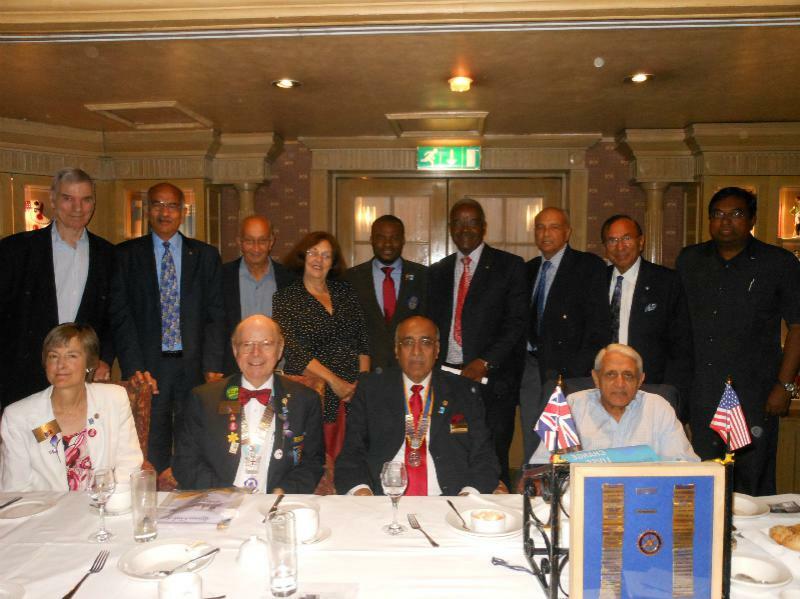 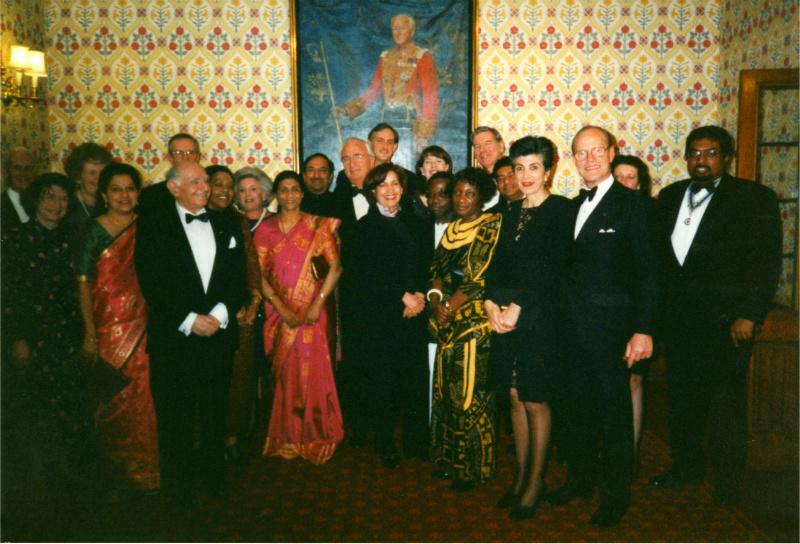 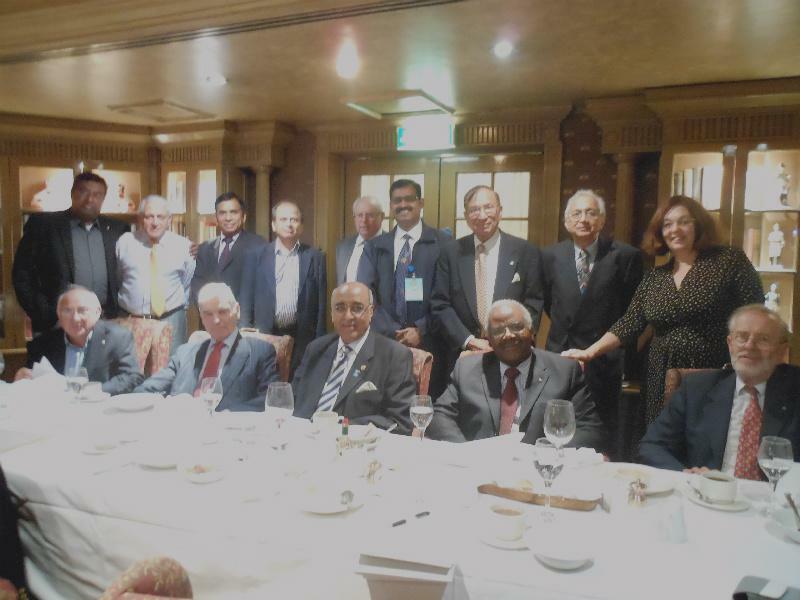 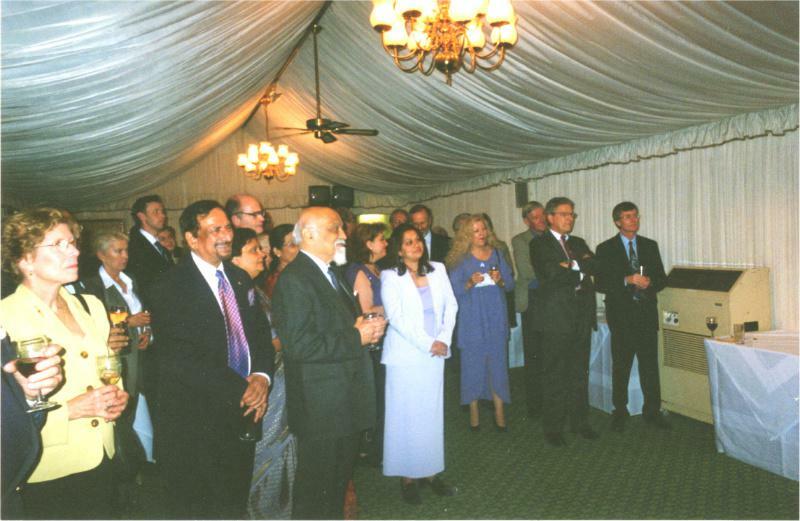 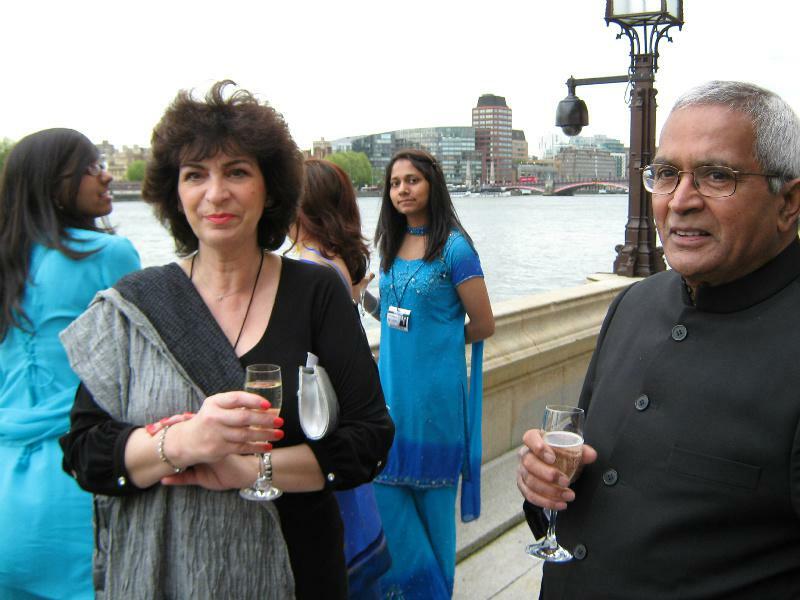 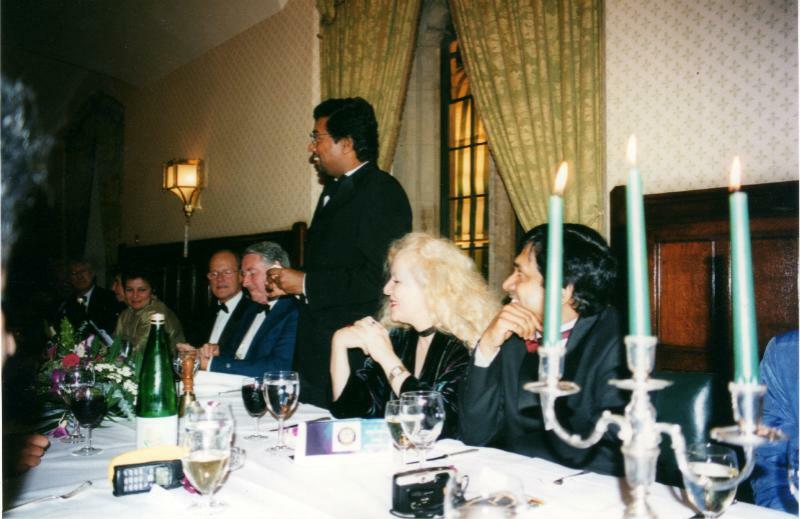 During World War 11, The London Club of Westminster West enjoyed a close relationship with the United Nations Rotary Fellowship, an informal group of Rotarians from occupied countries living in Britain. 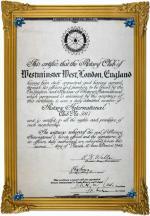 After the war, with most of its members returning to their home countries, the remaining few voted to give the balance of their funds to the Westminster West Club for International Service program purposes. 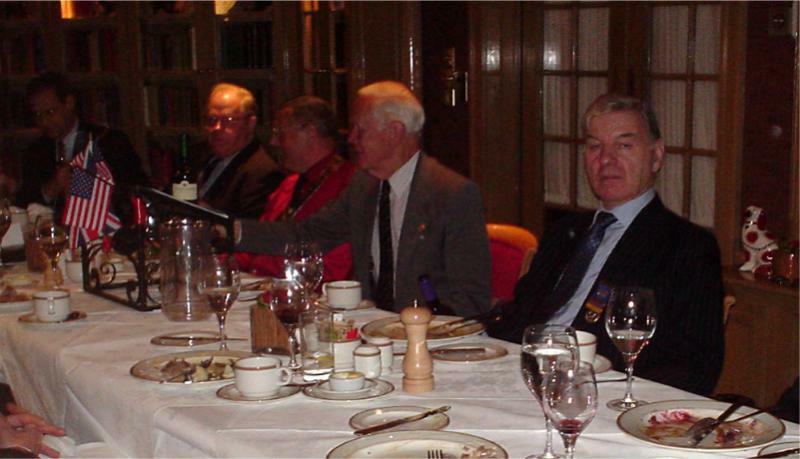 Presentation was made by Jim Ryan and accepted by President Tommy Garrud and P.President Wallis Streat." 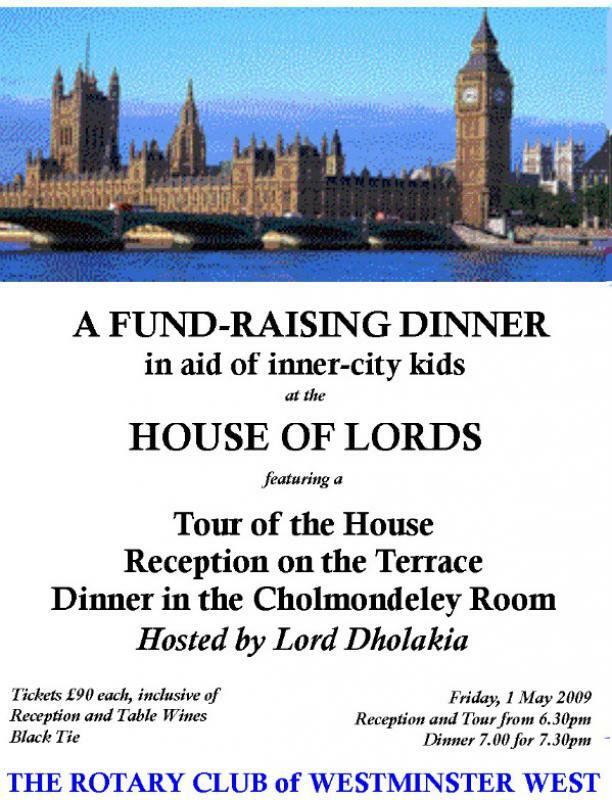 The strong foundations laid by people like our founder president Norman Wallis Streat, and the devotion of members since those difficult days, have resulted in a vibrant and progressive club which welcomes an exciting mix of people, well grounded in the Rotary tradition of service before self in their desire to serve the community. 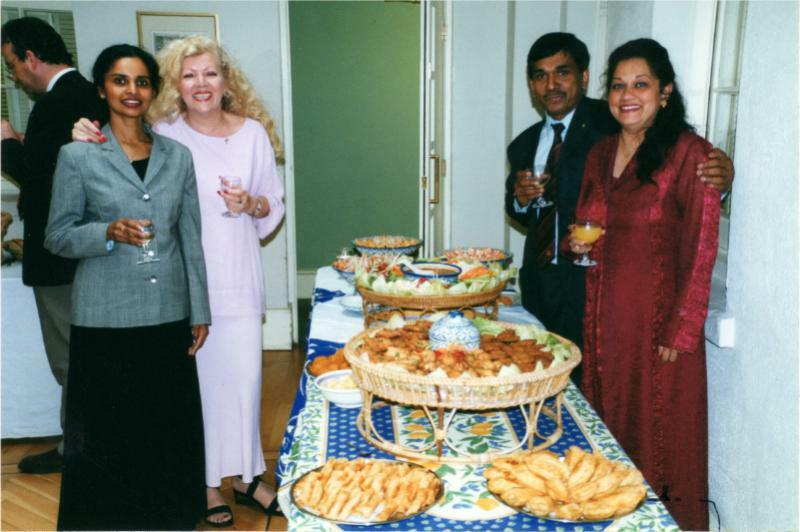 We now have members of both sexes representing a wide range of professions meeting every Wednesday, sharing fellowship, as we serve the community in our effort to help meet the challenges of our world. 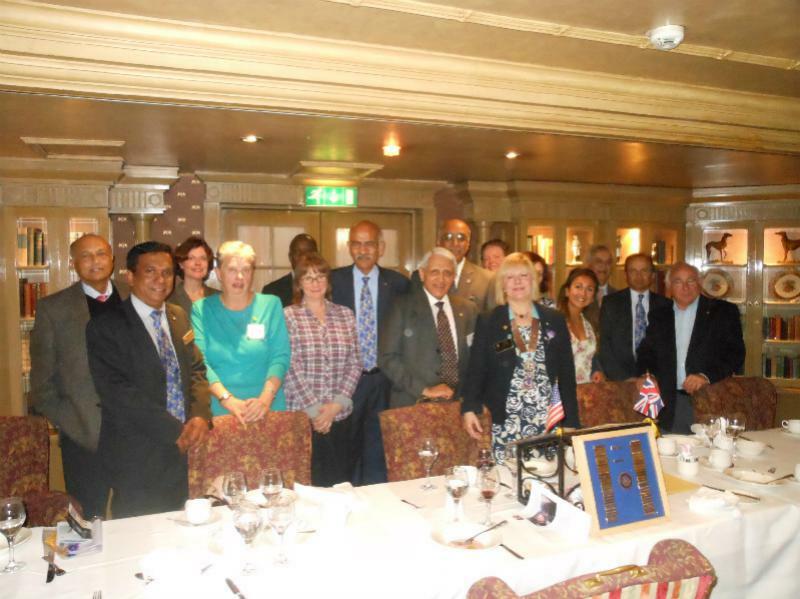 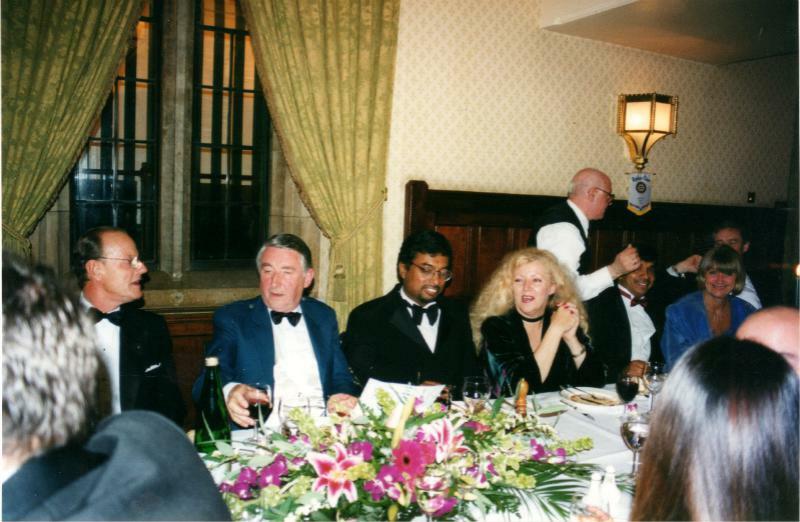 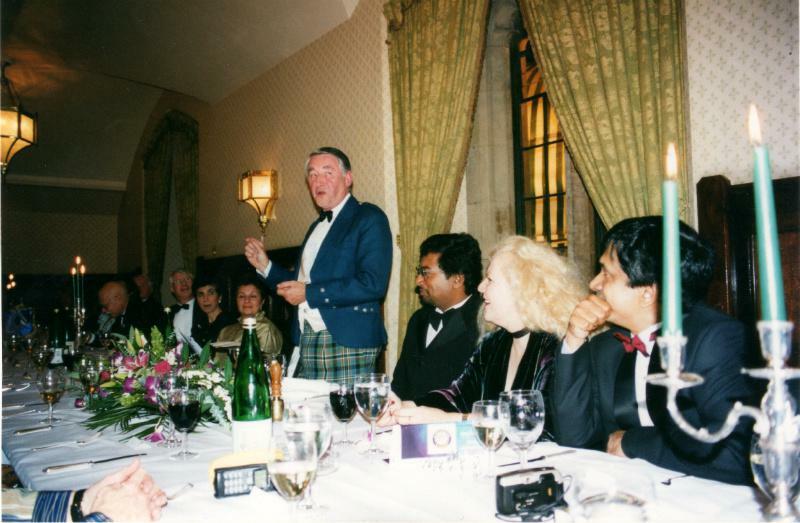 That sense of camaraderie, which inspired our founding fathers, is very much in evidence today and is experienced by our visiting Rotarians and guests.